The gate is shut on yesterday and tomorrow isn’t here yet. Get through today. I think maybe that’s just all we can do. I think maybe that’s enough. And if I laugh once today it will be a good day. You know that you’re a genius, right. This is so brilliant and touching. I absolutely agree with your giraffe. Sometimes one day at a time – or even one minute at a time – is enough. 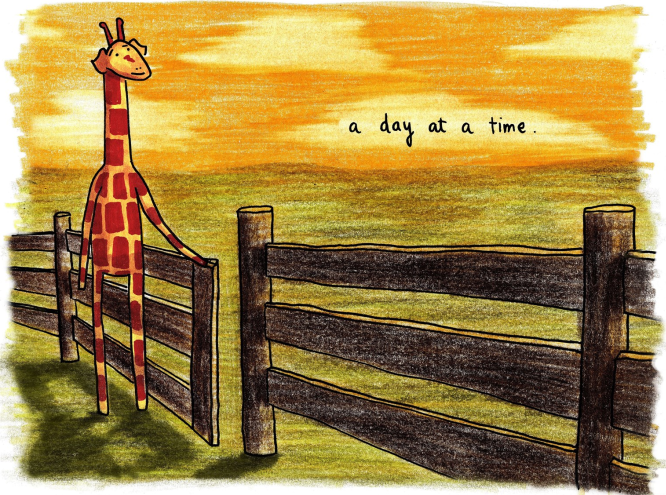 i am so inspired by motivating giraffe.